During the awards banquet, the chapter was awarded the Joseph Torchia Outstanding Chapter Award for the improvements and achievements the chapter has made this past year. Those achievements include participating in more hands-on activities such as the Polar Plunge benefitting the Special Olympics of South Carolina, building homes with Habitat for Humanity of Horry County, participating in Joy Prom, raising more than $2,400 for Relay for Life, sending 10 people to the fraternity’s regional Leadership Academy at N.C. State and facilitating nine Leadership in Action modules. 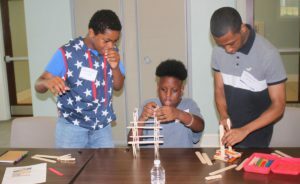 The Housing Authority of the city of High Point’s Summer Enrichment Program participants recently took a trip to Charlotte to visit Laurel Street Residential, a leading mixed-income housing development company. 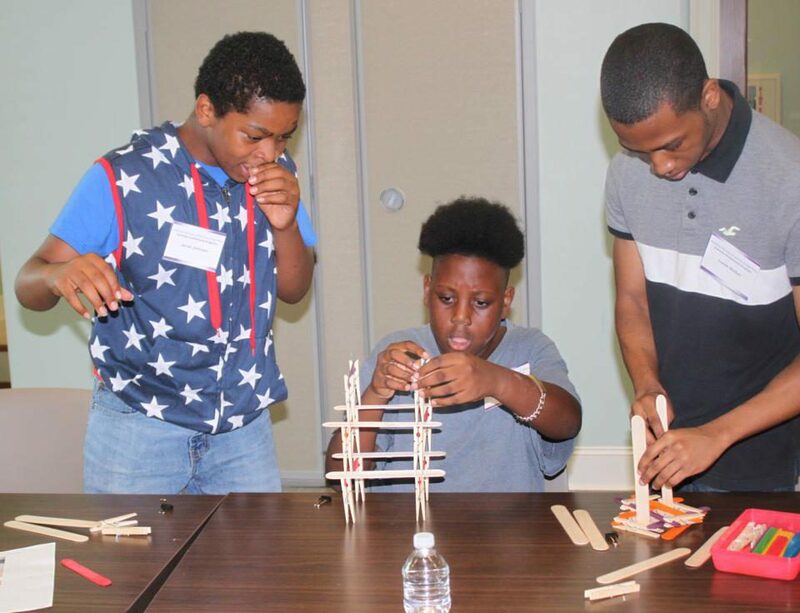 Along with touring a housing development, The Retreat and Residences at Renaissance, the youth got to see and touch exactly what developers, architects and contractors do every day in their careers. Dionne Nelson, president and CEO of Laurel Street Residential, pointed out the different aspects of development as the youth toured the site. The senior facility included a large gathering room with a big fireplace, meeting space, recreation room, a garden, fitness center and a large outdoor porch. Youth also toured the community building for The Residences at Renaissance, which included a large gathering room opening out to the pool area, a computer center, multi-purpose meeting room and fitness center. Nelson explained to the youth that development starts with an idea, followed by financing the idea and then actually bringing the idea to life. She provided an exercise on how to finance a development with investments, debt and equity. The developer, the architect and the contractors also provided presentations about their parts in the development process. Darrell Williams, architect/principal with Neighboring Concepts, discussed his education and how he became an architect, and he provided a 3D tour of a building in the design stage. Ricardo Fisher, the Laurel Street construction manager, and Tyrone Harmon, business owner and president of Harmon Construction Services, discussed the building process and the most important aspects of construction. 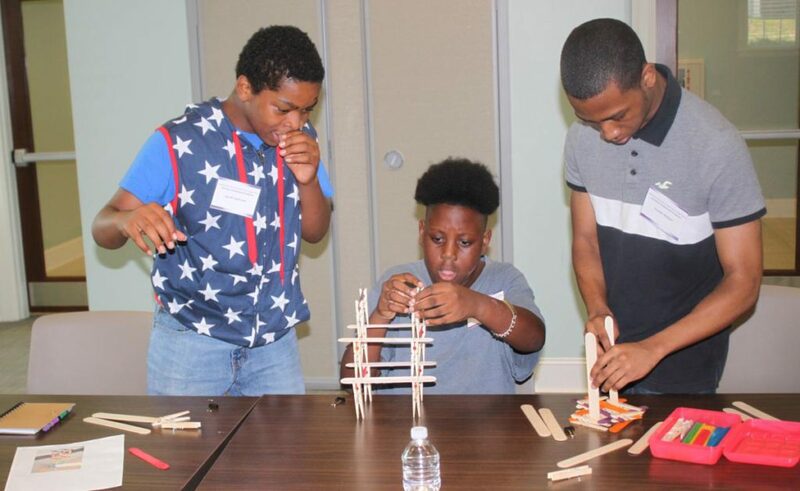 The youth participated in a hands-on “building” exercise where teams of four were challenged to “construct” the tallest structure they could, using teamwork and everyday materials. Sophia Brown, a rising junior at High Point University, is serving as an e-commerce intern for Oscar de la Renta in New York. Brown is an individualized fashion retail studies major with a minor in visual merchandising design and marketing. As part of the state’s Read to Achieve program, North Carolina’s Department of Public Instruction has provided new Apple iPads for every public school kindergarten through third-grade reading teacher in the state to support K-3 literacy. The iPads, purchased in June and delivered in time for school districts and charter schools to distribute to early-grades reading teachers before the start of the school year, will help teachers monitor students’ reading growth and identify where students need help. Each classroom also will receive a new set of books for students. For information, call 919-807-3450 or visit www.ncpublicschools.org.